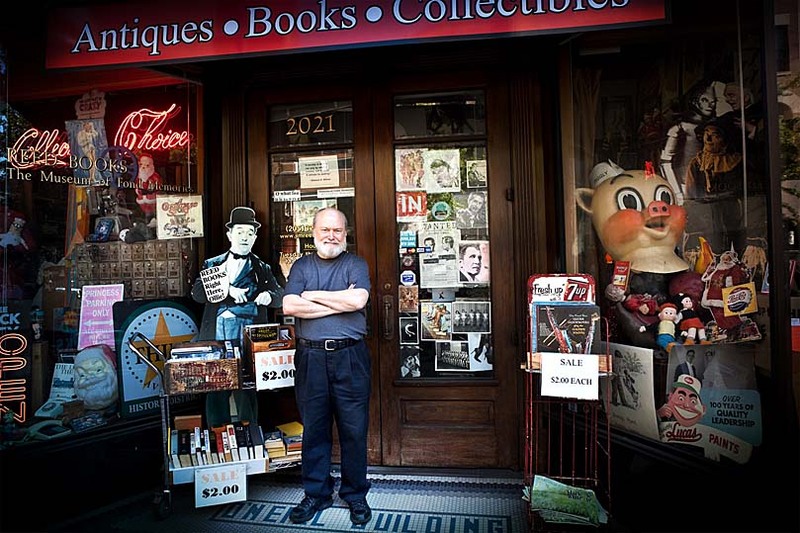 "To call Reed Books an 'old bookstore' is a bit like saying the ceiling of the Sistine Chapel has a good paint job." All four major credit cards accepted. Gift certificates available year 'round! Book lovers from throughout the world enjoy visiting author Jim Reed at his rare-book loft, Reed Books. Jim, a popular inspirational columnist and gentle gothic humorist, has authored several books, including DAD'S TWEED COAT: SMALL WISDOMS HIDDEN COMFORTS UNEXPECTED JOYS. They can be purchased (autographed) at Reed Books, or may be ordered from any new-book store in the country. Reed Books is "Alabama's largest, most wonderful old book loft and museum of fond memories." Click here to see the latest news about REED BOOKS and the MUSEUM OF FOND MEMORIES! Visit Jim Reed on Twitter and Facebook.